Casablanca Fan Company was founded in 1974 by Burton A. Burton, a machinist and entrepreneur from our home town of Pasadena, California. The company grew quickly to become the industry standard for quality, design and performance. The iconic Panama 5, with polished brass body and solid oak blades, established an entirely new category for residential lighting fixtures. 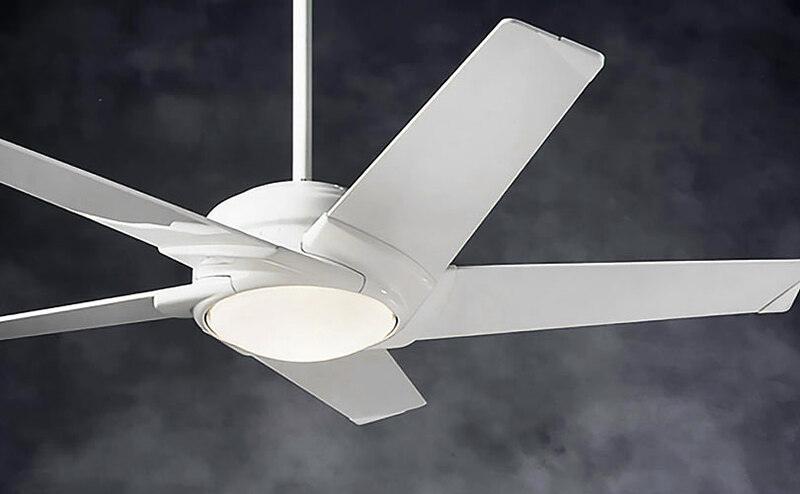 Our decade long collaboration with Casablanca resulted in a long list of innovations that changed the course of the ceiling fan industry, including integrated halogen lighting, hand-held RF remote controls, indirect lighting, and our favorite – the Stealth, shown here.